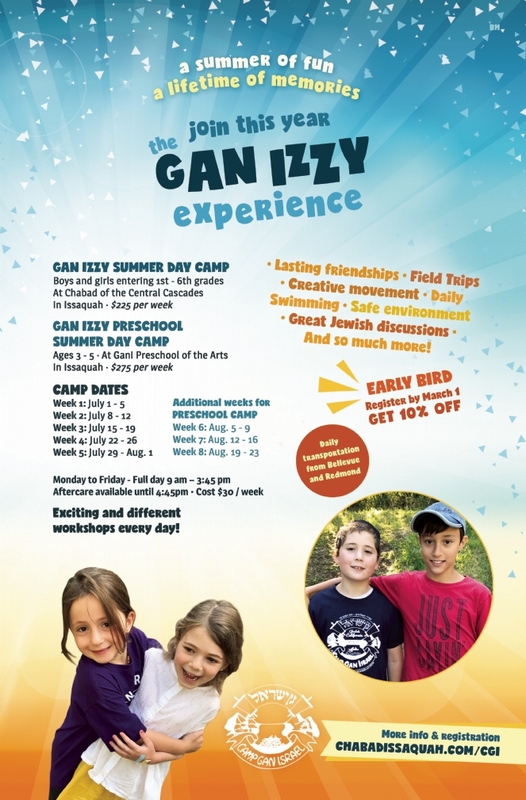 Gan Izzy Day Camp of Issaquah & Sammamish was created in order to provide Jewish children with a comprehensive and meaningful summer program fostering their growth individually, socially and Jewishly. The daily schedule includes an exciting mix of sports, crafts, field trips, swimming and other activities. These are designed to be educational, fun and conducive to building character and nurturing friendships. Children come from a variety of Jewish backgrounds. Counselors are chosen for their warmth and personality. 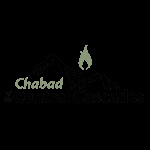 One of the highest priorities of Camp Gan Israel is to nurture each camper with personal devotion. Careful consideration is taken to ensure optimum counselor/camper ratio.